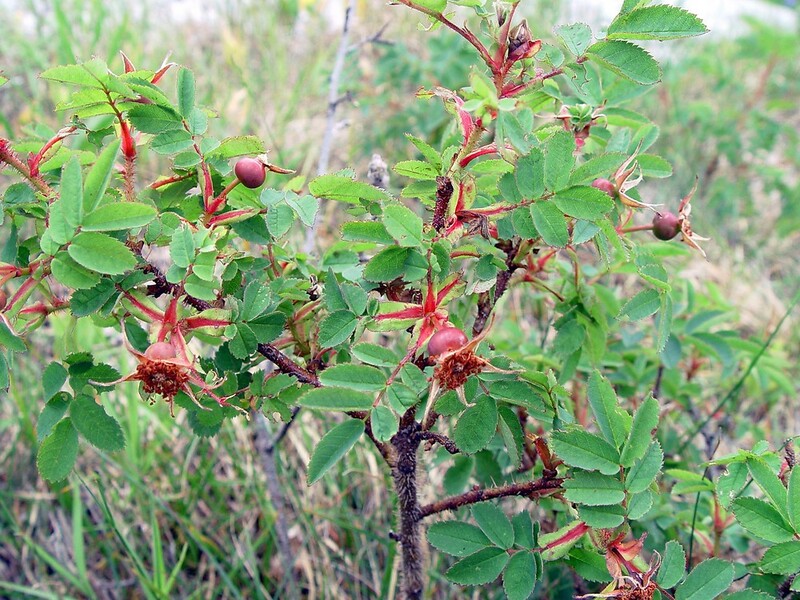 Bristly rose is fairly widespread and abundant in North America, growing in a variety of different habitat types. In New England the species is rare, with a few populations in Maine, Massachusetts, New Hampshire and Vermont. 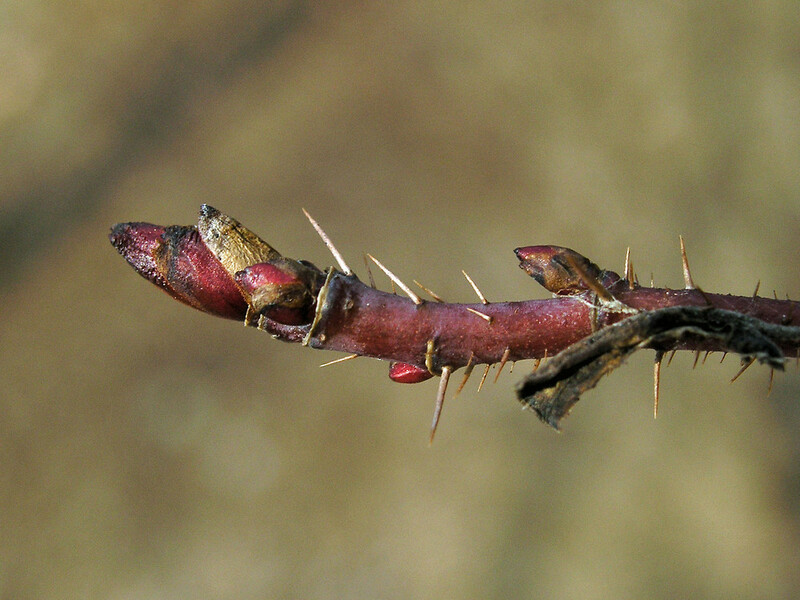 New England populations inhabit areas of calcareous rock or rich sediments. 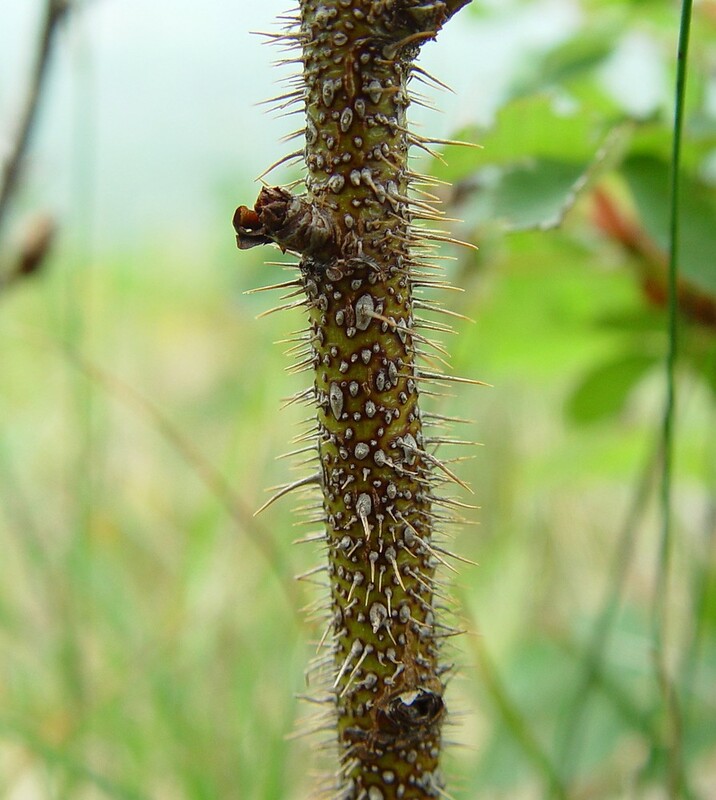 branchlets without prickles or rarely with a few prickles, upper stipules, floral bracts, petioles, and leaf rachises without stipitate glands, though often with sessile glands at the tips of the teeth of the stipules and/or floral bracts, and fruiting hypanthium usually red to red-brown in drying (vs. R. acicularis, with branchlets with numerous prickles, usually the upper stipules, floral bracts, petioles, and/or leaf rachises stipitate-glandular, at least when young, and fruiting hypanthium dark blue in drying). 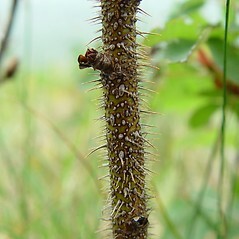 pedicels and hypanthium stipitate-glandular and sepals spreading or reflexed after anthesis, promptly deciduous in fruit (vs. R. acicularis, with pedicels and hypanthium glabrous and sepals erect or connivent after anthesis, persistent in fruit). 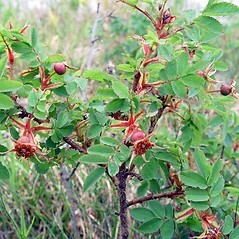 Our subspecies is Rosa acicularis Lindl. ssp. sayi (Schwein.) W.H. Lewis. 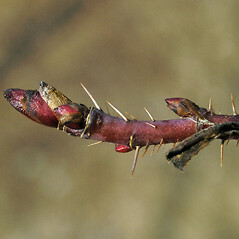 bristly rose. 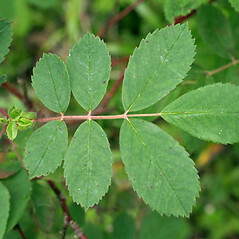 Rosa acicularis Lindl. var. 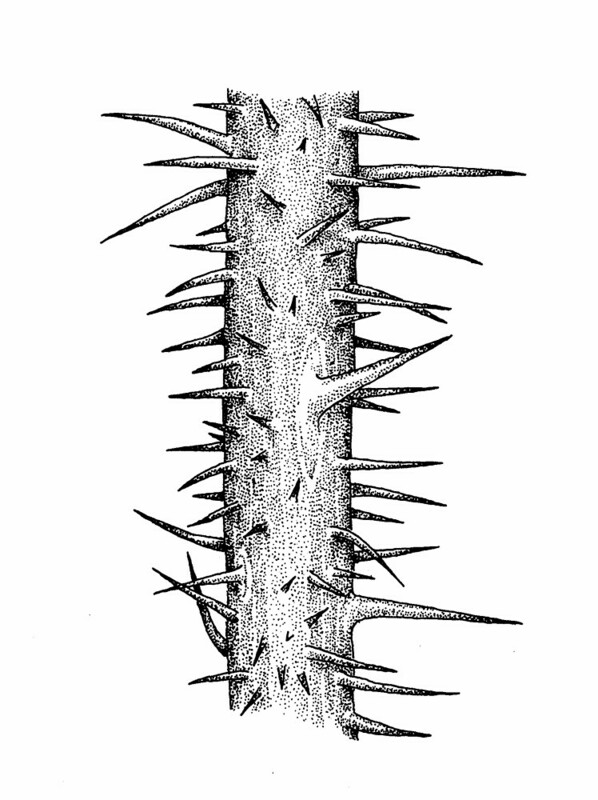 bourgeauiana (Crépin) Crépin; R. bourgeauiana Crépin; R. sayi Schwein. 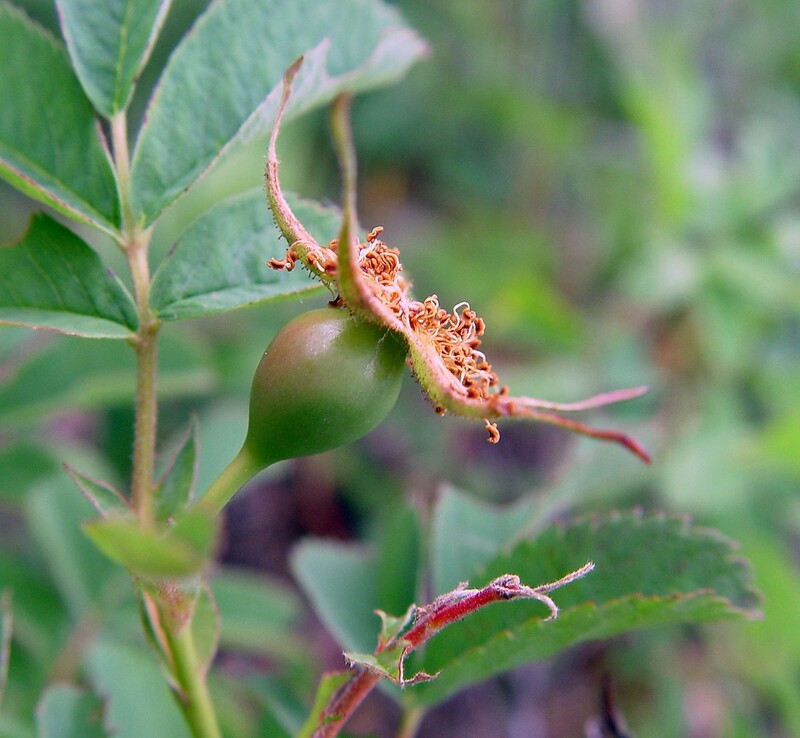 • MA, ME, NH, VT; also reported from RI by Kartesz (1999), but specimens are unknown. Ridges, cliffs, and balds in high-pH bedrock regions, rocky headlands, railroads. 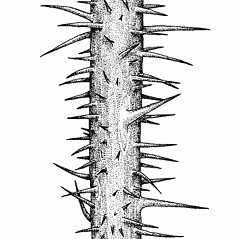 This taxon usually has a globose mature hypanthium; however, rare collections in New England show elongate hypanthia— Sorrie et al. 2562 ( NEBC!). 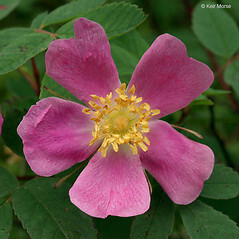 Specimens from CT considered to be Rosa acicularis— Weatherby 5176 ( NEBC! 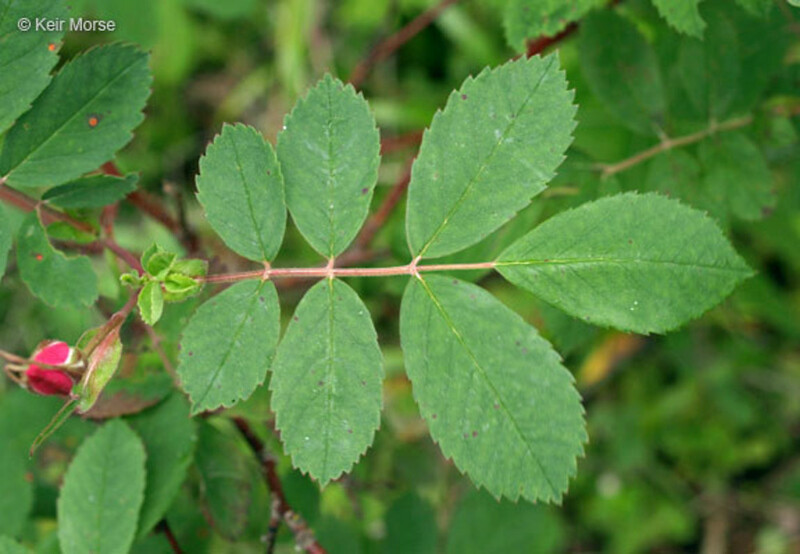 )—are not this species, as evidenced the presence of stipitate-glands on the hypanthia and scarcity of glands on leaves and stipules.